Many people are seeking to determine their ancestor whom they have been told descended from a Native American or an African American. There are family stories that a great-great grandmother or grandfather was a slave or perhaps a member of the Cherokee nation. Often these connections are difficult to prove with genealogical research. Some companies provide information on your ethnic background by testing your autosomal markers and giving you a percentage of what culture those markers contain. To understand the usefulness and accuracy of this, one needs to understand autosomal markers. Autosomal markers are distributed throughout all your chromosomes, and they represent your accumulated inheritance from your ancestors. That is, you inherent approximately fifty percent of your genes from your mother and the remainder from your father. In turn, each of them inherited about fifty percent from their parents. Those genes contain markers which are autosomal and which recombine or restructure themselves differently for every person at conception. In other words, these are the markers which make you look like your family, but not exactly…unless you have an identical twin. These markers make you a unique individual. They give you your mother’s high cheek bones, your father’s nose, etc. Also, autosomal markers contain all your health issues. Science knows the markers for a few inherited diseases and progress toward knowing more is continuing. Health issues are believed to be a combination of marker mutations, making their jobs a bit more difficult. Scientists know that environment is the biggest factor for health issues, however. Granted, there are inherited diseases which raise the likelihood of someone’s health being hampered, but there is no guarantee it will in most cases. What we eat, what we breathe, and what we do after we eat (i.e., no exercise) are major factors contributing to our health, as well. Autosomal markers are best used to help determine paternity and for use in forensics (See my blog on CODIS). Some testing companies give a percentage for various ethnic groups and claim to assign a tribe to African or Native American Heritage. The test result from these companies is displayed as percentages for various ethnic groups. Not every ethnic group can be determined. Basically, a tester would get a percentage for Western European, Native American, African, and Asian. For example, a person’s test could result in 36% Western European, 24% African, etc. A genealogist would have to ask how helpful a percentage of a cultural group is to the search for ancestors. Some genealogists suspect that a particular ethnic group is part of their heritage, and they are comfortable knowing their DNA confirms this. Others find that just knowing that fact does not really advance their search for their family. Depending upon the researcher’s goals, this type of test may be very useful or not. 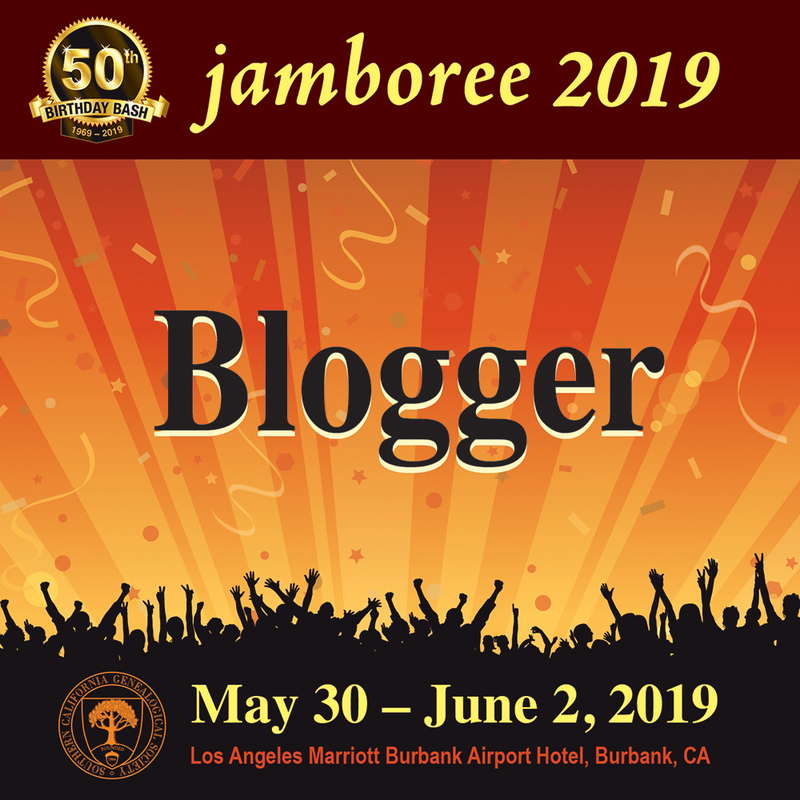 A researcher needs to determine his or her reason for testing the autosomal markers and whether that result will fit his or her genealogical needs. As each person inherits a unique combination from the parents, your test could you 15% Native American where your sibling might test and show 21%, or none at all. Remember, autosomal markers recombine differently with every conception. Another issue is that those percentages will change as the company’s particular database becomes larger. That is, if you test today and again in five years, your percentages may change. For some, as I previously stated, it may be important for them to know what ethnic groups are in their background, although not all ethnic groups can be determined even by companies who test autosomal markers. DNA does not recognize nationalities and tribes, per se. These are man-made terms. Scientists declare autosomal testing an “an infant science.” They feel the database which determines to what “tribe” someone belongs is too small. Tens of thousands of testers are needed to make genetic determinations. As the work on this continues, someday we may be able to correctly categorize with more accuracy, but given the lack of stable reliability of autosomal markers over time, there is concern that may not happen. The ONLY testing that can positively identify Native American or African ancestry is the Y-chromosome and mitochondrial DNA testing. This is due to the stability of the markers used for these tests to determine the haplogroup (your twig on the World Family Tree) for the basic ethnic groups. Testing particular parts of the Y-chromosome and the mitochondrial markers are reliable as they are consistent over time. That is to say, they rarely mutate, and those minor mutations help geneticists and genetic genealogists group testers into families. Geneticists have determined which twigs on the World Family Tree (Phylogenetic Tree) do tend to have Western European, Asian, Native American and African DNA; therefore, by testing either the all male line (Ydna test) or the all female line (mtDNA test) an accurate determination of these cultural groups can be made. 1. Put the ancestor you suspect to be Native American, African, etc. as number one on a pedigree chart. 2. If this ancestor is male, you can test either the top line of the chart (all male) or the bottom line of the chart (all female). If the ancestor who is now number one is a female, you can only test the bottom line of the chart. Remember: Females do not have a Y-chromosome and mother gives all her children the mitochondrial she has. However, only females can pass it to the next generation. 3. Bring the lineage forward to the present on either an all male or all female line for the male who is now number one on your chart or the all female line for the female who is now number one. This is called “Reverse Genealogy,” as normally a genealogist starts with his or herself and works backwards. You must now work forward to the present until you find a living person on that all male or all female line. Granted, this is a person you may not know. In that case, read my blog on convincing strangers to test. ..........If you find you cannot bring the line you need to the present, then you step back one more generation, if possible, and bring those needed lines to the present. ..........This may not be an easy task, but it has been done many times with great success. Family Tree DNA recently offered a sale on many of their tests for genealogy, and now that the sale is over, they have reduced their prices in all categories for Ydna (all male line)testing and for mtDNA (all female line) testing. The prices are not quite the sale price, but are still a very nice reduction. The upgrades from one test to another were not reduced, however. 12 marker Ydna test tells you only about your most ancient ancestry....over 600 yrs ago and before surnames. The Genographic Project uses only the 12 marker for males as they are only interested in tracking the migration pattern of our most ancient ancestors. Their project is an anthropological study; not a genealogical one, but in time their data will help us. 25 marker match gives you a 95% probability of having a common ancestor within the last 600 yrs. 37 marker match gives you a 95% probability of having a common ancestor within the last 300 yrs. 67 marker match gives you a 95% probability of having a common ancestor within the last 150-200 yrs. 2. Go to the bottom right and click on the FTDNA icon. 5. Complete the form. Scroll to the bottom of the page and click on JOIN. Email me if you have questions before you order your test. Ideally, it would be best if a person who has previously tested called a potential tester or someone who has contacted testers in the past. These groups of people can often answer their questions and concerns. Remember that the following is only a guide, and that each person needs to make the approach their own style. 1. 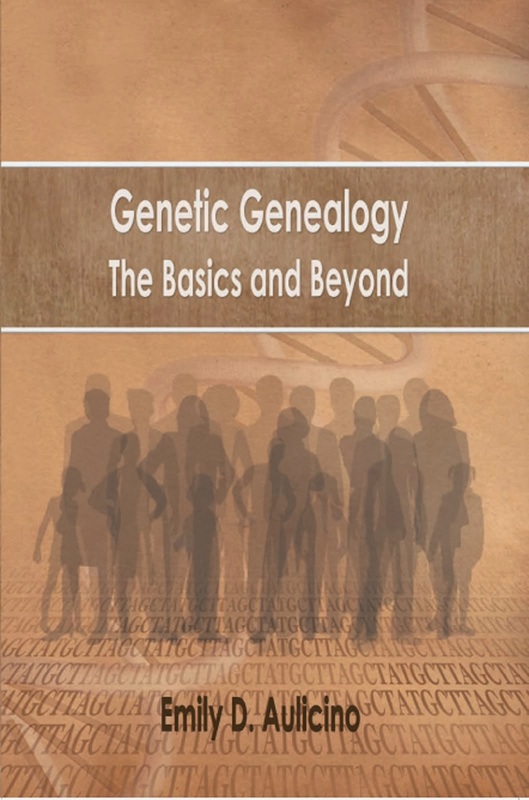 Understand the basics of DNA testing for genealogy. There are some wonderful books and online help mentioned in my Blog. Be able to alleviate a tester’s fear of medical or health issues and the criminal justice system’s desire for DNA. See my articles on those topics. 2. Know a few previous generations of their line. I would suggest, at least three generations and preferably you can go back to where your line could meet theirs. 3. Expect to spend a lot of time on the phone so call at a time when you do not have to be in a hurry. Have plenty of telephone minutes at your disposal. Some of the people called want to talk a long time--particularly if they are doing some genealogy themselves. Or expect a big phone bill at the end of the month. 4. Keep good records of the phone calls as if you were running a business and reporting calls to your boss. That includes a file on each prospect with his lineage in front of you when you make the call. Leave nothing to chance. 5. Be enthusiastic! Be yourself. Do NOT be pushy. 6. Above all, be interested in what they are saying as some may want to tell you all about their lives. Some may want to tell you all about themselves or their family. If this happens, regardless of what the person you are calling says you should be very interested and encourage them to keep talking. In other words make friends with them. Ask questions about what they are saying and be interested. Ask them questions about what they are telling you. 7. Sometimes the wife answers the phone and will screen your call. Some genealogists have commented to me that they suspect at times that the women who answered did not let their husbands know that they had called--not out of jealousy, but out of interest in the family budget. Many older people are on fixed incomes, and this is the reason that one may need to mention up front that a free test is available. 1. Speak clearly. You may be talking to someone who is hard of hearing. You may have to repeat some explanations. Do not speak quickly. 2. Be interested in the person's career, occupation, or avocation. 3. Be aware that the person you call may be another ethnic group, but could still be related. Some might want to be tested and may connect to your line. 4. If the person called is watching a ballgame, ask for a good time to call later--likely another day. Do not keep a prospective tester from a good football game, or whatever his favorite spectator sport. The same goes for keeping parents and grandparents from a child's game. 5. Be courteous. Show some empathy for a person who is ill, in the middle of a project, a meal a favorite TV program, etc. 1. Introduce yourself as a genealogist and mention the surname relevant to your call. 2. Ask if they are related to the nearest ancestors on the chart you have so you can establish you have the correct person. 3. Tell them that you think you could be related, but you have not found a paper trail to prove that yet. Ask them if they know how the lines connect. Show a desire to determine a specific relationship or crumble a brick wall. 4. 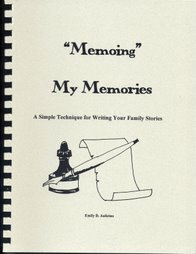 Ask if there is a genealogist in the family or someone who is interested in the ancestors (get their name, email, address, and phone number or as much as you can I order to contact them). 5. Offer to send them a copy of the chart below if they are interested and do not have this info. Then snail it to them. 6. Get some leads on their family and on contacting people in their family who may know more. .....IF you get any leads for other people, contact them, repeat the process, and do not mention DNA yet. We want interested people, and DNA can scare them away at first. 7. LAST and maybe not even in this first contact, mention that if they do not know how your two lines connect and IF they do not have a person working on the genealogy in the family, mention that the only way to find out is by DNA testing. 8. Thank them for their time and help. You want to be able to call them again, if needed, so ask if that is ok.
1. Refrain from mentioning DNA initially. Show a sincere regard for gathering information that will help you tie to the family via a paper trail. Paper resources are needed along with DNA testing, anyway. 2. 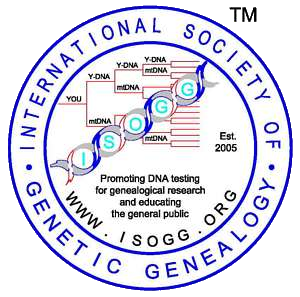 If there is a family genealogist, speak with them first about DNA testing and see if that person can suggest someone who might be interested in testing. 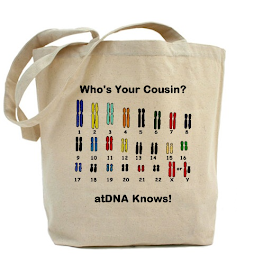 Have the genealogist help you convince the potential tester to contribute their DNA. You may have to educate the genealogist before you proceed, however. 3. Be prepared to have several conversations prior to mentioning DNA. The general public is not as comfortable about DNA testing as we are. You must alleviate their fears. Explain GINA (Genetic Information and Non-discrimination Act and CODIS (Combined DNA Indexing System). 4. One good way to approach the topic of DNA is to let the potential tester (or the genealogist) know that since you and the potential tester or genealogist cannot find the paper trail, there is one way you know will work to determine if your lines are related or not and that is DNA testing. 6. Be prepared to pay for the test. Especially if you have a person who does not do genealogy, who is retired, or who is just not interested enough to give you his DNA and money. Either you pay for the test, gather people in your family to help contribute, or see if your DNA project has a scholarship fund system. If this person will not test, see if there are other family members who may. 1. Offer to check your database for their family. Send them a print out on their family. 2. Thank the person for their time and interest in helping you solve your problem, even if the help was minimal.